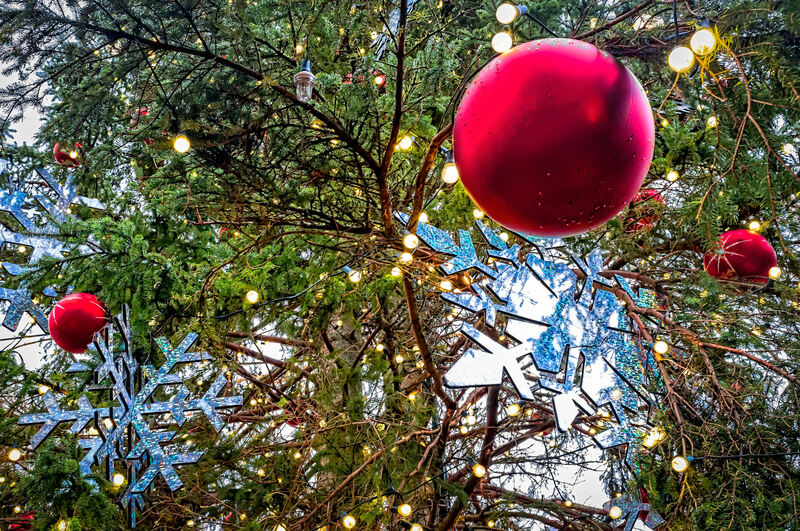 Christmas ornaments and lights on Fort Worth, Texas’ municipal Christmas tree in Sundance Square. 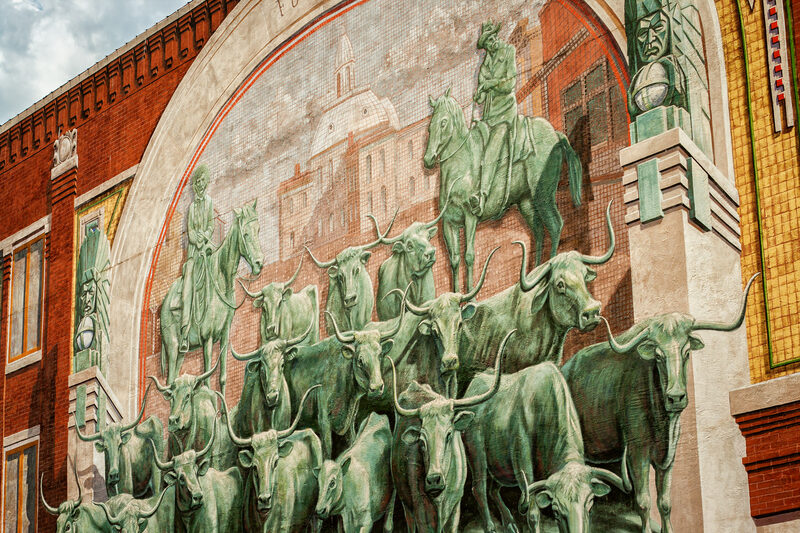 A mural of a cattle drive in Sundance Square, Fort Worth, Texas. 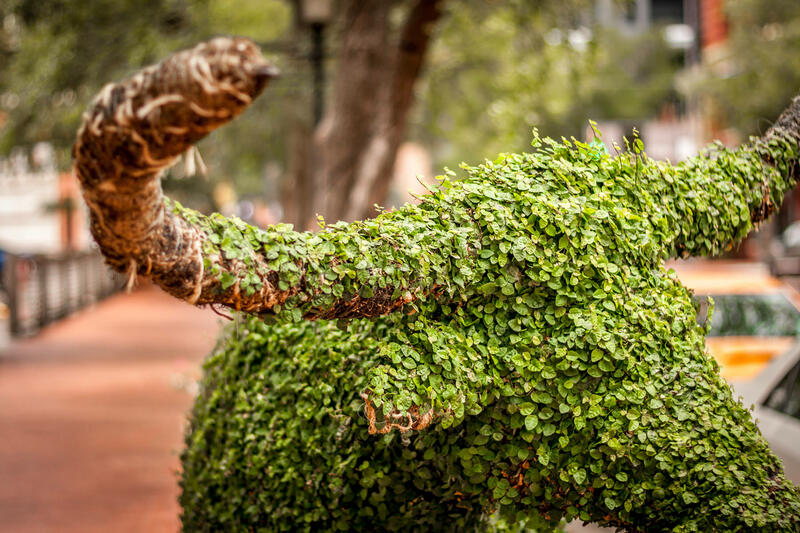 A topiary shaped like a longhorn bull at Sundance Square, Fort Worth, Texas.